Our dedicated Israeli shlichim are idealistic, dedicated and learned young men and women who serve several years in St. Louis as teachers and role models of midrash u’ma’aseh (study and action). They provide educational activities in schools and synagogues that aim to strengthen Zionism, Jewish identity and Torah knowledge in all sectors of the Jewish community. They also partner with our bnot sherut, two young women who come here to volunteer to develop personal relationships with the children of St. Louis and serve as role models actively linking children with Israel as the homeland of the Jewish people. The founding Rav HaKollel was Rabbi Jeffrey Benenfeld. In 2007, Rabbi Moshe Shulman became the Rav HaKollel. Meet the Midlers from Eli, Israel – just north of Jerusalem. In 1989, while Tal’s parents spent some time in St. Louis, he had the good fortune to attend kindergarten at EHA. After returning to Israel and completing high school, Tal served in the Golani Brigade and then studied Early Childhood Education in Jerusalem. 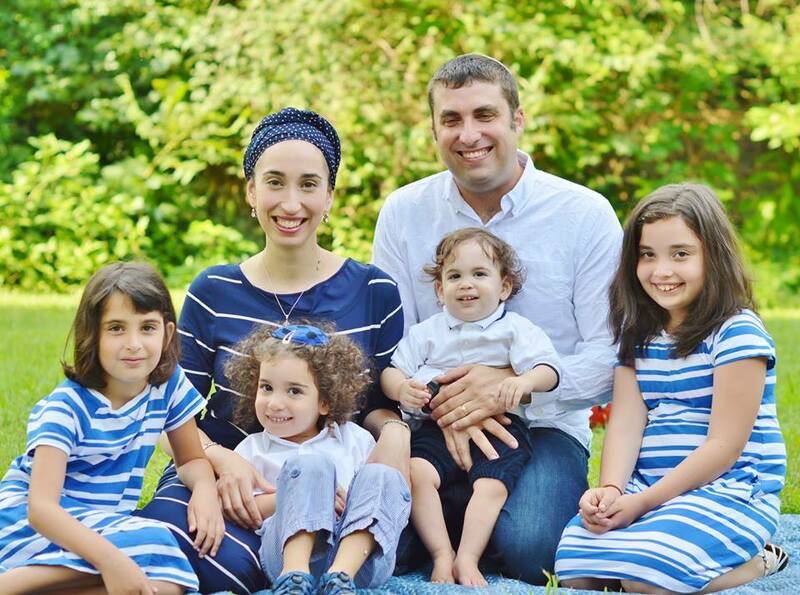 After many years of teaching 1-3rd grades and coaching basketball, Tal with his wife Ginat are starting Shlichut this summer in St. Louis, along with Yagel (age 9), Roni (age 7), Ori (4) and Ruth (1). Born in Staten Island, Ginat made Aliyah with her parents when she was 1 1/2 years. After high school, Ginat served 2 years of Sherut Leumi; one year working with at-risk teenagers and the second year helping new-immigrant children adapt to school in Israel. Ginat completed her B.A. in Behavioral Sciences at Ben Gurion University and then worked for a software company. Ginat also plans and implements social and cultural community events in her local community. Adi Salomon (32) was born in Netanya along the beautiful shores of the Mediterranean. She studied at Ulpanit Bar Ilan before her Sherut Leumi (national service) as a teaching assistant in an elementary school, helping young olim with their Hebrew studies. Adi has a BA in Psychology from the Hebrew University of Jerusalem and an MA in Educational Counseling as well as a Teaching diploma from the Hebrew University. Adi has worked as an educational counselor at the Ort Ramot High School in Jerusalem. In addition to being a Torah MiTzion shlicha, Adi will be a Limudei Kodesh teacher at EHA. Adi also loves to bake, everything from bread to muffins! Eitan (36) was born in Kedumim in the Shomron mountains. He attended Yeshivat Bnei Akiva in Ra’anana and then served in the IDF as an officer in the Military Police. After his military service, Eitan spent some time working at his family’s blueberry farm before studying at the Hebrew University in Jerusalem for a PhD in Plant and Environmental Sciences. In addition to serving as a Torah MiTzion shaliach, Eitan will also be a Postdoctoral Research Fellow in the Biology Department at Washington University in St. Louis. Eitan is also an amateur accordion player and balloon artist! Adi and Eitan’s children, Tamar (8), Naomi (6), and Boaz (3) were born in Jerusalem. Yehuda (1) is the new St. Louis addition. 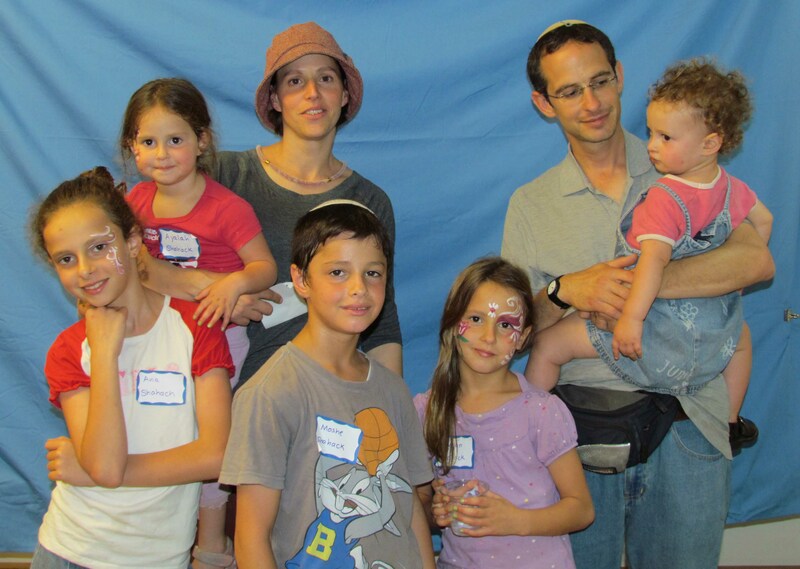 Adi and Eitan came to St. Louis as shlichim to work with people of all ages and groups in order to serve the community and to establish a meaningful Shlichut Toranit Tzionit. Yael and Boaz moved from Alon Shvut with their family of four to St. Louis for two years. Boaz is a high school teacher of Media Studies and Cinematography as well as a film director, producer and screenwriter. Boaz learned in Mercaz HaRav in Jerusalem, prior to his service in the I.D.F. Field Intelligence command as part of the Hesder program. Yael has an MSW from the Hebrew University School of Social Work, and a certificate for the Chief Rabbinate in Israel for pre-marriage guidance counseling. She has taught high school level English and Mathematics. 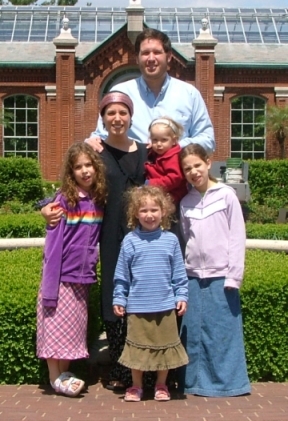 Assaf and Gilat Gastfraind and their three children Ariel, Amitai and Hallel, graced our community from 2009-2012. Thanks to a partnership between Congregation Bais Abraham and Torah MiTzion, the Gastfraind family lived adjacent to Congregation Bais Abraham in University City (6910 Delmar Blvd). Asaf (Assi) taught Judaic studies at Epstein Hebrew Academy, while Gilat taught at Solomon Schechter Day School. Assi and Gilat moved here from Maale Adumim. Assi learned at Yeshivat HaKotel and Gilat worked with children with learning disabilities. Gilat was trained in Hebrew University and Yellin Teachers College, both in Jerusalem. 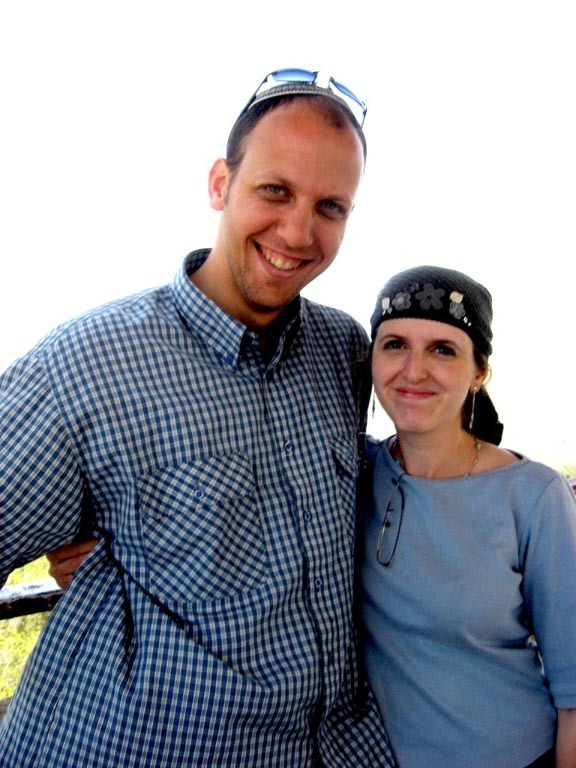 Chaim and Merav Possick were both born here in the Midwest but made aliyah to Israel with their families at a very young age. Chaim Possick (2008 – 2011) attended high school in Karnei Shomron before enlisting in the Yeshivat Hesder program in Ma’ale Adumim. Chaim worked in the I.D.F. Intelligence Corps for his military service. He then received a B.Ed. and Teaching Certification for Bible and Talmud. Most recently, Chaim has been a Talmud teacher and English teacher at Kiryat Ya’akov Herzog High School in K’far Saba. Chaim also continued his studies in the Bar Ilan University Kollel and there recently completed a Master’s Degree in Public Administration. Merav Possick (2008 – 2011) attended Ulpanat Lehava in K’dumim before her sherut leumi service as a teaching assistant and youth director in Kiryat Yam. Her education continued at the David Yellin College of Education in conjunction with Midreshet Nishmat where she received her BEd and Teaching Certification with a specialty in Bible, Jewish History, Jewish Philosophy and Jewish Law. Merav first taught at Evelina DeRothschild High School in Jerusalem. She also has taught in the Zofei Sharon Elementary School in Alfei Menashe and in Kiryat Ya’akov Herzog Yeshiva in K’far Saba. Most recently, Merav is an English and Jewish studies teacher in a high school in Rishon Le’Zion. Merav’s experience with Americans began as camp counselor for American high school students (Mach Hach) in Israel, as a teacher and program director for Hillel Academy in Milwaukee, Wisconsin. She also spent a summer camp counselor for Camp Moshava (Wild Rose, WI) and for Camp Ariel for American and Anglo-Israeli children, in Givat Washington in Israel. 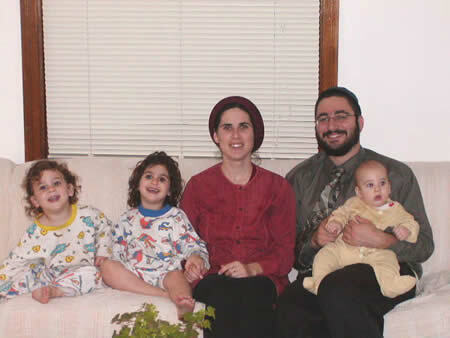 Chaim and Merav have four children: Amichai, Eden, Itai and Elad (thier only american-born child). Uria Teperberg (2004 – 2008) was born in Petach Tikva, Israel. He graduated from Nechalim High School and Maalot Yaakov Hesder Yeshiva, and spent one year of additional learning in Zichron Yaakov Kollel. Uriya Served as a medic in Givati Unit of the IDF. He has a B.A. in Theater Arts from Tel Aviv University, and has experience as an actor and as head of a religious theater group. Uria also was the director of the Neve Michael School for children at risk in Pardes Hanna. Vardit Teperberg (2004 – 2008) was born in Petach Tikvah, Israel. She graduated from the “Ulpenat Yeshurun” High Shool at Petach Tikva, served as Komonarit (coordinator) in Ezra. Vardit received a B.A. in Education and Eretz Yisrael studies at Bar Ilan University, and has her teaching license. Prior to becoming a shlicha in St. Louis, she had six years of high school teaching experience and was Community Programs Coordinator. 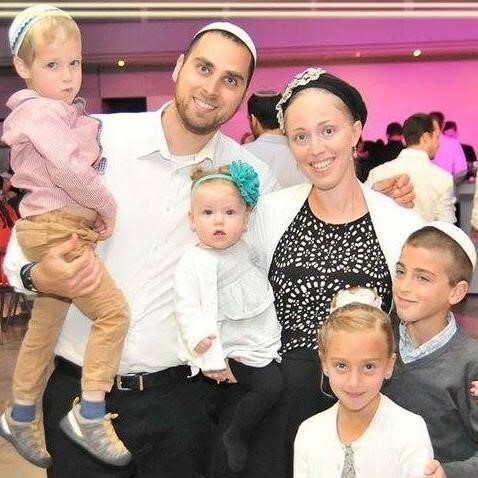 Uria and Vardit have five children: Tehila, Tamar, Hadas, Ori and Shlomo (their only American-born child). Boaz Genut (2003 – 2006) was born in Netanya but grew up in Jerusalem. He learned at Yeshivat Ohr Etzion, the Hesder yeshivah led by Rav Chaim Drukman, followed by attaining a B.A. in Education from Michlelet Herzog and serving for six years as program coordinator and teacher of an educational seminar series at Midreshet Ofrah for Girls. Cheftzibah Genut (known as “Cheftzi”) (2003 – 2006) was born in Jerusalem but grew up in the Golan towns of Keshet and Nov. Cheftzi has a B.A. in Judaic and Eretz Israel Studies from Bar-Ilan University and an M.A. in education from Michlalah in Jerusalem. She also learned for six years at Nishmat: the Jerusalem Institute for Advanced Torah Study for Women, completing Nishmat’s prestigious Keren Ariel Yoetzet Halachah program, a unique course of study that qualified her to answer halachic queries on taharat mishpachah and women’s medical issues. Today the Genut family lives in Psagot with their six children. Rav Boaz is the director of Tzohar‘s Community Projects .